At Pizanos we like to keep our menu fresh. We regularly update our specials so that you can experience something new and exciting each time you visit. Check back here to see when your favorite pies will make their next appearance on our special menu. 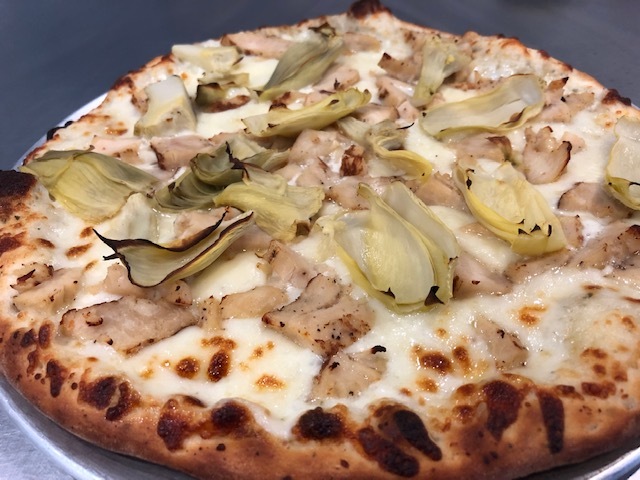 Zesty Ranch, 100% Whole Milk Mozzarella, Chicken & Artichoke. Available by the slice every day!